The GOP Thinks #MeToo Is a Chance to Exploit the ‘Biased’ PressBut their attempts just show how much they get wrong about journalism. Jill Abramson Is Now Writing for Free WeekliesShe’ll have a 3,000-word piece in Straus Media papers this week. Jill Abramson’s Start-up Will Pay $100K Per StoryAnd only publish once a month. Jill Abramson: Call Me a ‘Fired’ Times Editor“Why hide that?” she said. 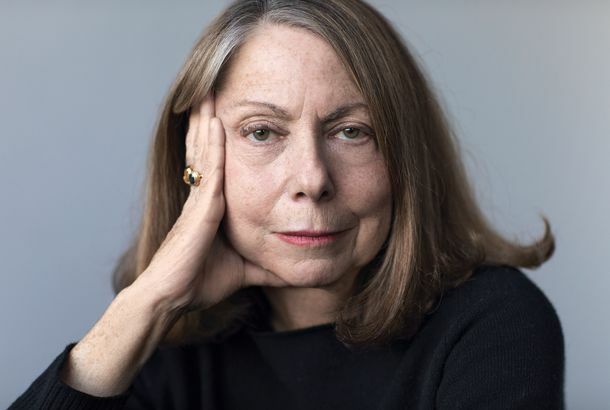 Jill Abramson Breaks Silence (on Girls)The fired executive editor is finally giving interviews. Jill Abramson Going From 1 Tattoo to AnotherThe fired Times editor will teach at Harvard. Abramson Can Disparage NYT Whenever She WantsThe fired executive editor refused to sign a non-disparagement agreement. Jill Abramson Blogs NowOne former Times editor remembers another at the Huffington Post. 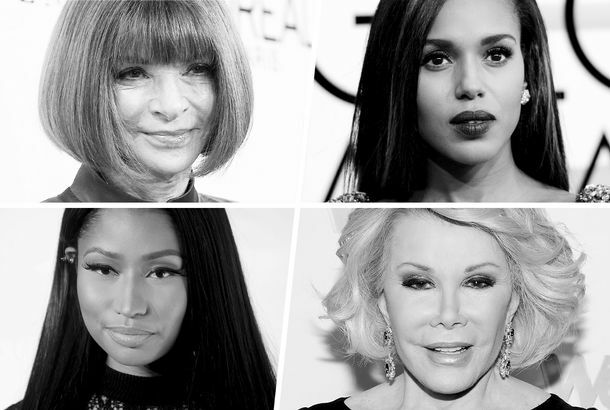 How Instagram Became the Best Crisis PRWho needs Olivia Pope? Beyoncé, Bieber, and Jill Abramson prefer pictures. Ira Glass Doesn’t Know or Care Who Edits the New York TimesThe “This American Life” host admits he’s not up on the biggest media story of the moment. Jill Abramson Commencement Speech: On ResilienceAt Wake Forest, the former New York Times editor delivered her first public remarks since her firing. Report: Miscommunication Led to Abramson FiringThe final straw: Sulzberger felt she was lying. Jill Abramson Refused to Go Quietly From the TimesOffered the chance by Arthur Sulzberger to say she was stepping down, Abramson refused. How Should Jill Abramson Cover Up Her Times Tattoo? Five Brooklyn tattoo artists gave it a shot. Jill Abramson Will Not Be Going to Graduation at BrandeisBut she will still speak at Wake Forest’s. Jill Abramson’s Salary Is Revealed, and It’s Lower Than Her Male Predecessor’sThough the Times says her “total compensation” was higher. Jill Abramson Has a ‘Badass New Hobby’: BoxingInstead of commenting on her firing, Abramson appeared on Instagram, gloves on. Times Denies Abramson Was Paid Less Than Men“Compensation played no part whatsoever in my decision that Jill could not remain as executive editor,” says Sulzberger. Jill Abramson Will Never Know Why She Got FiredWomen leaders can never be sure if they’re struggling because of their own performance, or others’ expectations. Sulzberger Swings the Axe: Why He Fired AbramsonA long good-bye that nobody saw coming. Meet Dean Baquet, the NYT’s First Black BossHe takes over immediately after Jill Abramson’s sudden departure. Jill Abramson Suddenly Out As New York Times Editor [Updated]Managing editor Dean Baquet will take over. A Cheat Sheet to Anonymous New York Times Trash-TalkEditor Jill Abramson knows how these things go. Politico Made Jill Abramson CryThen the New York ‘Times’ editor brushed it off. New York Times Staffers Publicly Complain About BossAnonymously, to Politico. New York Times Loses Two to ABC News Despite PleadingJill Abramson gave it her all to keep them. New York Times to Try Selling Boston Globe AgainIt won’t be easy. Jill Abramson Wishes She Could Whine MoreShe’s too important now. Major Shakeout Looms for Top New York Times Editors“Begging and pleading” to shrink the top of the masthead.